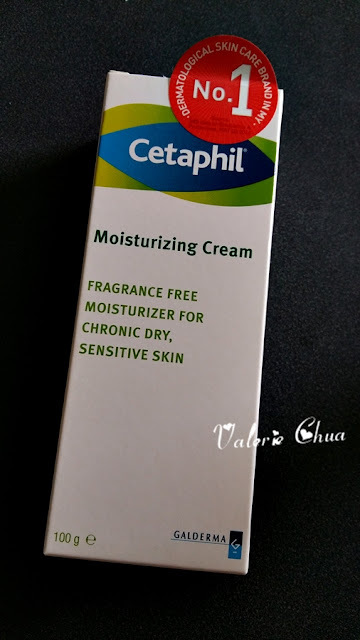 As promised in my previous post where I reviewed the Cetaphil Gentle Skin Cleanser, I will try out Cetaphil Moisturizing Cream. I spent most of my time in air conditioned room. It is very bad for my skin where my skin became very dry, and sometimes even crack near the elbow area. By the way, i need some tips on how to get rid of darkening elbow. Is scrub and whitening lotion will be good and effective in this case? Do leave your comment here if you have any good tips. Let's get back to the main point. Similar to Cetaphil Gentle Skin Cleanser, Cetaphil Moisturizing Cream aims to combat skin irritation and keep our skin silky smooth. You might be asking, all lotions or body cream also claim that they can keep our skin silky smooth, but you wonder how. 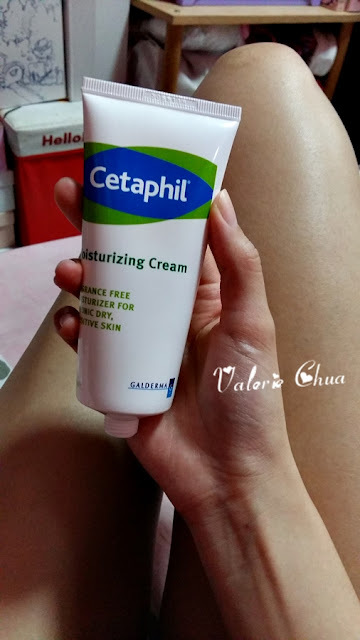 Cetaphil is very kind and do not mind to share their brand's secret with all of us - using physiological lipid emollients and the correct pH level that could help facilitate skin barrier repair for even highly irritated and acutely inflamed skin. By such method could helps to improve the dryness of the atopic skin and subsequently improve the itching. The key ingredients for this moisturizing cream are polyglycerylmethacrylate, sweet almond oil, macadamia nut oil, panthenol and dimenthicone which act as humectants. With such superior system of extra-strength emollients and humectants, the purpose of Cetaphil Moisturizing Cream is to bind water to the skin, prevent moisture loss and double the skin's hydration level in 4 days. Cetaphil Moisturizing Cream is fragrance free, hence suitable for both babies and young children. For adults that hate to have fragrance on their body after apply the cream to work, this is one of the good choices. I have tried the cream myself and I personally think that it is really good when you apply in air conditioned room. You do not feel the stickiness and actually quite easily to absorb. However, when i apply in room without air conditioner, i felt slight discomfort and the cream seems like a little difficult to absorb. I have also brought it to my work place and shared it with my colleagues. Both of my female colleagues actually love the texture and also how easily the skin can absorb. One of them who have chronic dry skin, love this cream even more because she found it really moisturized her skin. If you are interested to try out Cetaphil Moisturizing Cream, you could buy them from Guardian, Watsons, Caring, Vitacare, Aeon Wellness, hospital pharmacies , clinics, and other major independent pharmacies; with the price vary from 50g (RM34.80), 100g (RM58.70) and 453g (RM103.90). You could also try out the Cetaphil Moist Lotion, 200ml for RM58.70. Oh i just found out that Watsons in Pavilion KL has set up a Sensitive Skin Bay so that you can cut off all the hassle to look for products that suits your sensitive skin! Courtesy to Cetaphil Malaysia, first 100 fans who purchase anything from Watsons in Pavilion KL will receive a Cetaphil sample kit! The promo is valid from now until 30th November 2015! I might check out this product tho. Thx for sharing! Hi Meitzeu, thanks for dropped by! 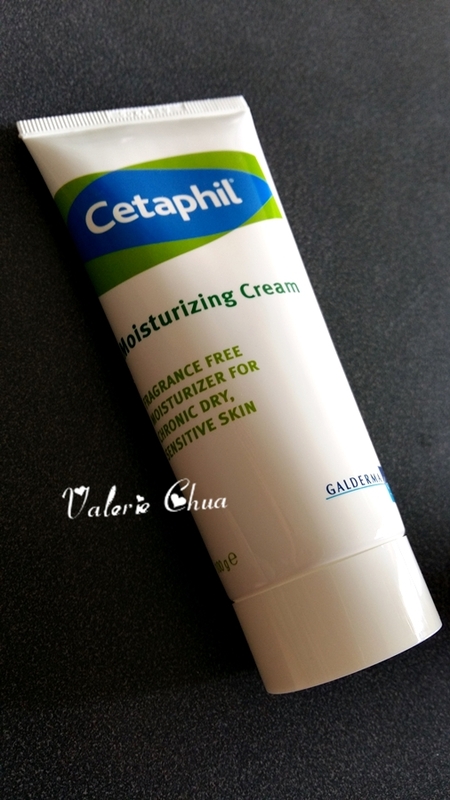 let me know what you think after you try out the Cetaphil Moisturizing Cream! By the way, nice bilingual blog you have there! Keep it up!